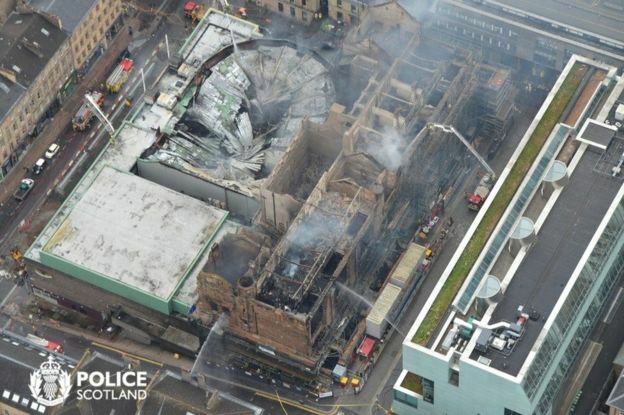 The Scottish fire and rescue service said the fire at the Glasgow School of Art had spread to neighbouring buildings including the O2 ABC nightclub. The ABC nightclub + music venue development on Sauchiehall Street brings back to life an old Glasgow picture house. It is Regular Music’s first venue and was launched on 10 June 2005. Regular Music are Scotland’s longest-established live music promoter. The club contains possibly the world’s largest glitterball. This Sauchiehall St building has been an ice rink, a circus and a cinema. Prior to redevelopment by Michael Laird Architects for Regular Music it was an empty shell. There are numerous bars and a second performance space. 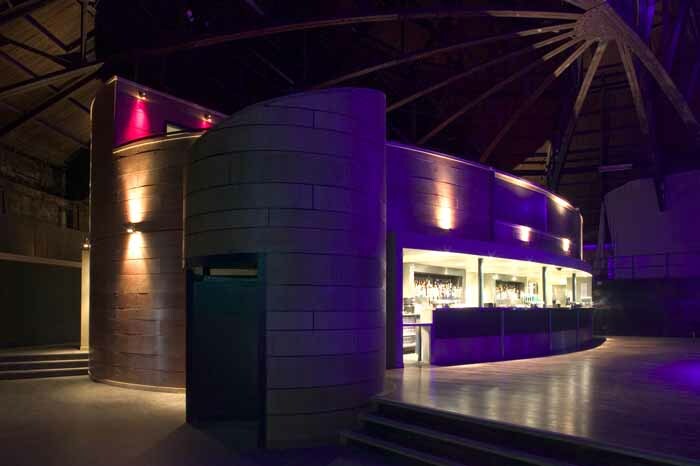 Michael Laird Architects were appointed in June 2004 after a limited competition held by regular Music to design a major concert venue / club on the site of the former ABC Regal Cinema building on Sauchiehall Street, Glasgow. 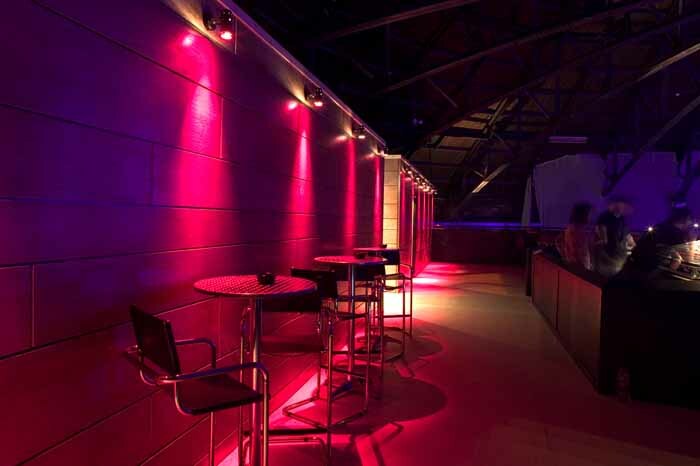 The project comprised the design of two completely different music venues on separate floors, accommodating 1100 and 350 people respectively, four bar areas (including VIP and Mezzanine bars), main entrance lobby, various artists dressing rooms and back of house accommodation. The existing building had already been altered and extended in 1999 by Covell Matthews Architects to provide a series of speculative bar / restaurant / club spaces. Regular music had decided to inhabit the last remaining unit in this complex. Due to the contractor going bust during the alterations some of the Unit 8 had been left in a very poor sub shell condition and much of Michael Laird Architects’ early investigation work involved assessing what needed to be done to consolidate the existing structure. The main entry off Sauchiehall Street retains much of the existing art deco arch with the addition of new entrance doors, box office, illuminated signage and feature lighting. The existing stair and lobby spaces were small and have been kept intentionally simple and functional with clear pale walls and ceilings contrasting the dark floor tiling. Some existing terrazzo floor finishes in the main entrance and stair were restored where possible. 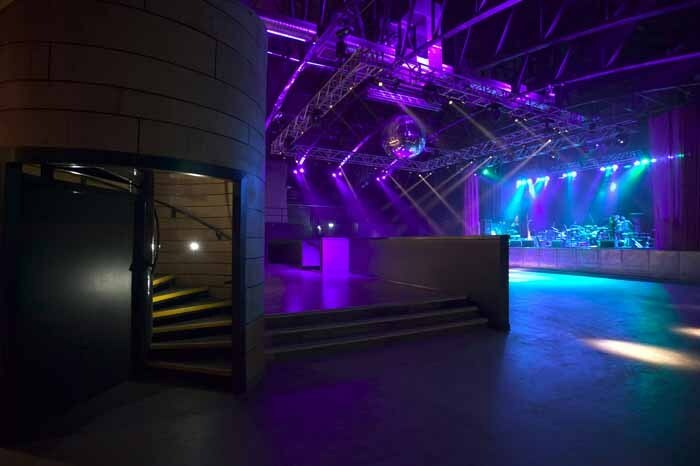 The Level 1 venue is entered through a dramatic corridor space which intentionally narrows as the floor ramps up before reaching a steel clad threshold point that is intended to reorientate the customers before entering the venue. One side wall of the corridor is an exposed brick and steel structural wall from the old cinema, which is contrasted on the opposite side by a sleek, illuminated translucent polycarbonate structure. 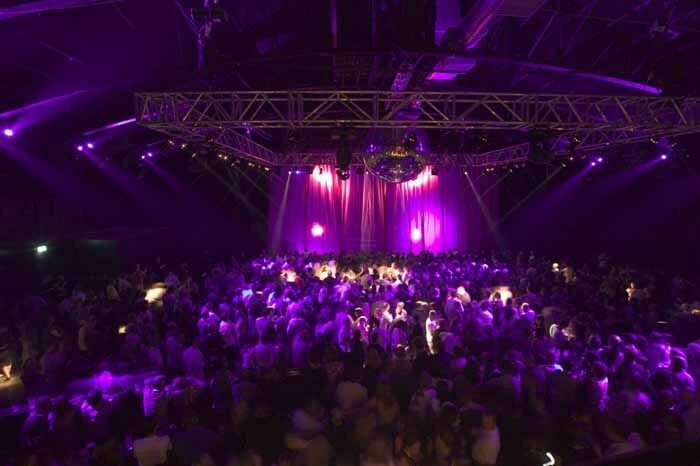 The large flat ceiling of the Level 1 venue produces a different type of venue space within the structure and contrasts the cavernous nature of the main venue upstairs. The layout of the first floor venue has been planned by Michael Laird Architects to maximize the front of stage / dancing and introduces more intimate areas of fixed seating on a raised floor section while maintaining sight lines to the stage from everywhere. The largest wall which includes the stage recess has been clad using horizontal strips of upholstered timber panels. 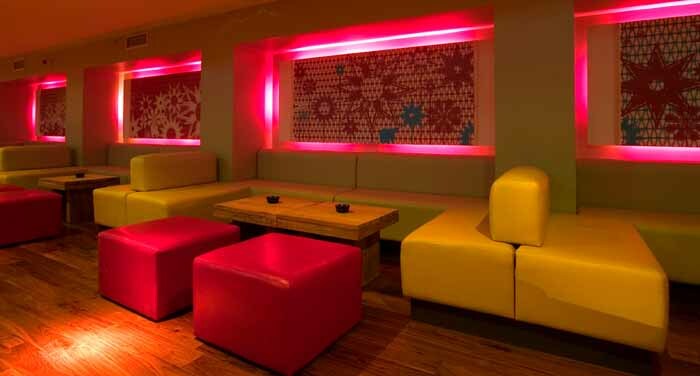 Opposite this feature wall is the bar, raised seating area and DJ / mixing desk. The Level 2 venue is entered from the main stairwell and forms the key venue space, converted from one of the ABC cinema’s largest auditoria. The existing plasterboard ceiling and supports were removed to expose the underside of the pitched steel trussed structure above the main ABC space increasing the sense of volume and scale. The area for the crowd is central to the space – the stage being situated adjacent to one end wall – with a new bar and toilet “Pod ” structure at the other. All other back of house accommodation held in the main volume takes the form of a new single storey concrete block structure that flanks the main space on both sides. The Pod is the main focus in the space containing two bars, toilet facilities and a mezzanine viewing area, as well as the mixing desk. The Pod is a steel and blockwork structure lined with a curving plywood facade made up of horizontal face-fixed ply strips with recessed joints. The highly finished and sharp appearance of the pod contrasts the rough nature of the existing structure that surrounds it. Built as a completely independent structure within the existing volume the Pod embodies our metaphoric approach to dealing with a modern addition to an existing building. 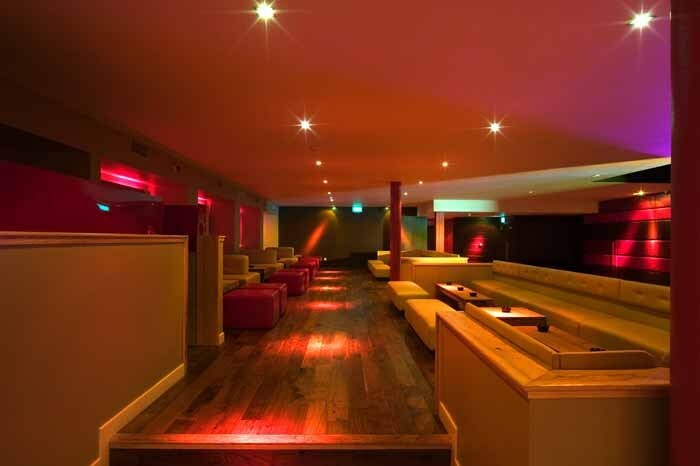 The venues were dressed by the client to complete their interior quality before ABC Glasgow opened to a capacity crowd on 10 June 2005. It has received fantastic reviews for its spatial qualities, design and atmosphere on the radio and in the local papers. 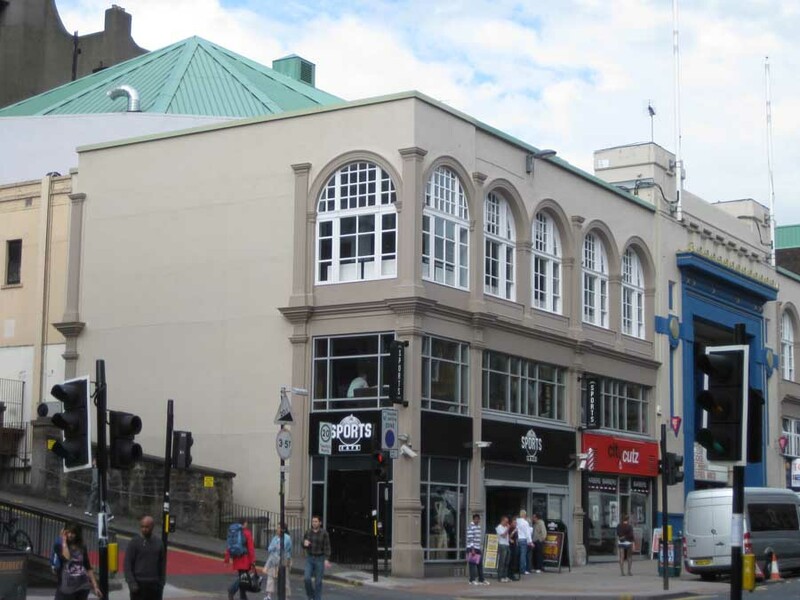 Adjacent Sauchiehall St buildings include the Willow Tea Rooms and also the CCA Glasgow building by Alexander Thomson immediately to the west. Adjacent to the north is one of Scotland’s most celebrated buildings, Glasgow School of Art by Rennie Mackintosh.